It is rare for undisguised images of future cars to appear before camouflaged prototypes, but with the brand new Alfa Romeo Brera GTA this is the case. The first image - captured on a camera phone - has spread like wildfire across the internet over the last 24 hours. 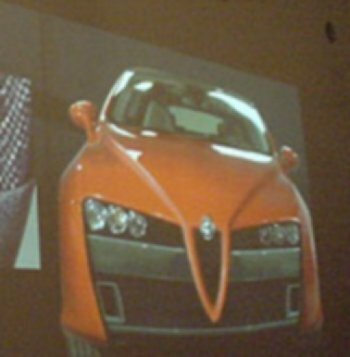 The design direction for the Alfa Romeo Brera GTA is revealed - clear, daring, and certainly an acquired taste. A bold design statement, the Brera GTA evokes recollections of the stunning 1990 Alfa Romeo SZ, and in particular the Castagna Vittoria concept car which was presented at the 1995 Geneva Salon. The exterior design of the Brera GTA is centred on the technology that can be found underneath, with functionality itself representing the key design feature. Large exposed brake cooling ducts and gaping black spaces for improved engine and induction cooling are found on either side of the long chrome-free red outline of the Alfa Romeo grille, this time reference to more than just a “Cuore Sportivo”. The shiny front wings, contrasting against the matte black face of the car, literally wrap around the front end of the vehicle, signifying the existence of a potent foreign body attached underneath. On the push of the starter button, drivers of the Alfa Romeo Brera GTA will hear the unmistakable howl of an eight-cylinder Maserati engine. The engine used in the Alfa Romeo Brera and 159 GTA models is similar to the unit previewed in the Fiat Research Centre Sportiva Latina Concept Car, fitted with Multiair variable valve technology to provide an extra 40bhp on top of the already available 400bhp. Alongside the 440bhp, the engine produces 500Nm of torque, whilst fuel economy is improved by 15% over the 400bhp Maserati basis. The Brera GTA evokes memories of the Castagna 'Vittoria'. concept car. 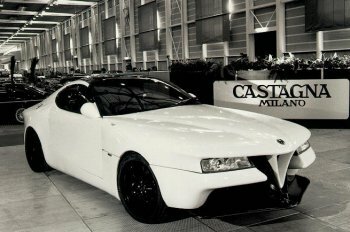 In 1995 Uberto Petra revived the famous carrozzeria name and produced an Alfa SZ based prototype, designed by Gioacchino Acampora, and named after Petra's eldest daughter. The styling was controversial as the front and rear ends seemed to have chunks missing, and it had an uncomfortable reinterpretation of the traditional heart. 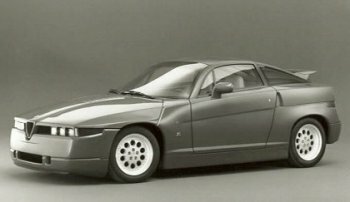 The Brera GTA project initially started life with a Biturbo version of the 3.2 litre ‘HF’ V6 Twin Phaser engine, which was tested on several prototypes at the Alfa Romeo proving grounds at Balocco, including a rather standard looking Alfa Romeo 166. Producing no less than 680Nm of torque, the Biturbo engine was simply too fierce for use in combination with Selespeed and Manual gearboxes. Thus came in its place the V8 powerplant which will see power transferred to the tarmac through all four wheels by means of the latest in Alfa Romeo Torsen-C technology, with a special electronic adaptive rear differential ensuring impressive surefootedness. 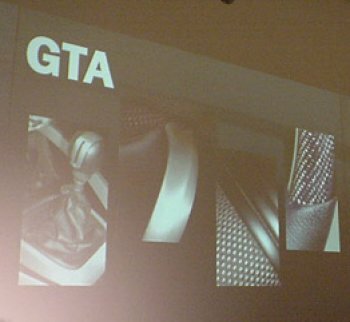 The interior of the GTA will feature swages of light weight metals and carbon-fibre, appropriate materials reflecting the weight saving theme that engineers have approached the car with.